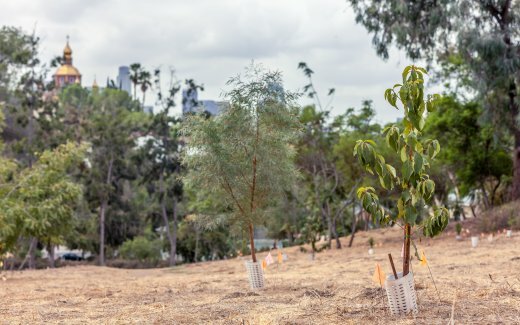 The same drought that is killing off trees across LA has hit Elysian Park hard, and the park’s broken irrigation system has only made things worse. 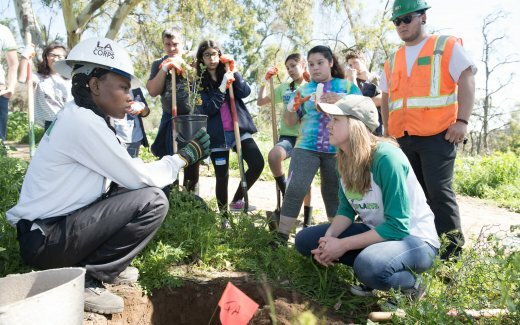 Since 2016 Land Life has joined forces with Arbor Day Foundation, Boise Paper, City Plants, Office Depot and the L.A. Department of Water and Power to reforest historic Elysian Park, the city’s oldest park in one of LA’s lowest income communities. With the help of hundreds of community volunteers, we have successfully reforested barren stretches of parkland. For local communities to enjoy and local wildlife to survive. 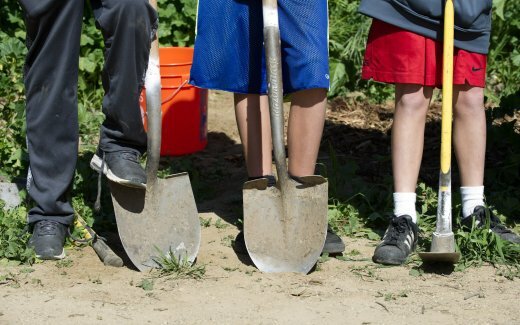 During three planting days we planted hundreds of trees with 500 volunteers including local families from neighbouring Echo Park, students and ex-convicts reintegrating into society. We used the Cocoon to save precious water resources and improve survival rates of the native species. A healthy green space brings health benefits like shade, clean air and improved scenery to park visitors and nesting owls, gray foxes, coyotes and other animals. 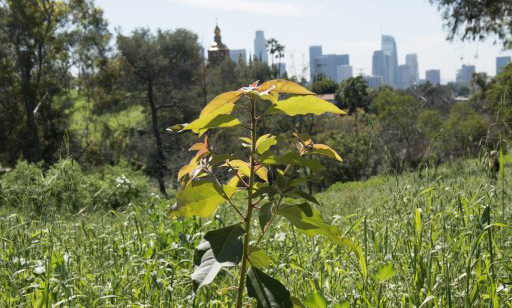 We are committed to increasing and improving open space in LA for nature and recreation within our dense urban area. 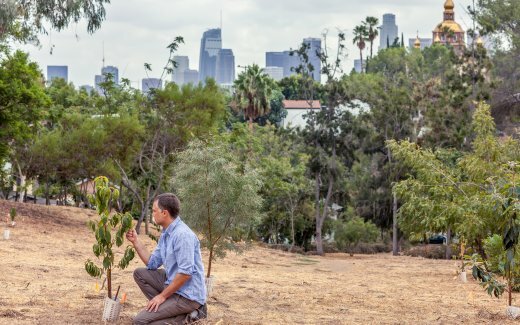 The trees planted with Cocoons in 2016 and 2017 are surviving despite the droughts that have tested the Californian capital for most of the decade. Lesley explains why partnerships are crucial for urban regreening projects in California.